When I was 18 I read all Vincent Van Gogh's letters. And later at the age of 42. That was in 2006. Vincent's paintings were a fantastic influence on me as a young artist. His passion and hardship were shocking to me. That a man could be so desperate in his personal life yet be so moved by paint and colour. A particular time of his life fascinated me no end. It was around the time that he painted a lot of yellow. He actually cut off his own ear, as far as I could gather from his letters, whilst working on the yellow chair and so many times I have wondered about this whilst standing in front of this incredible painting. It is hard to comprehend that anyone can paint such colour in such a state. It is so vibrant. 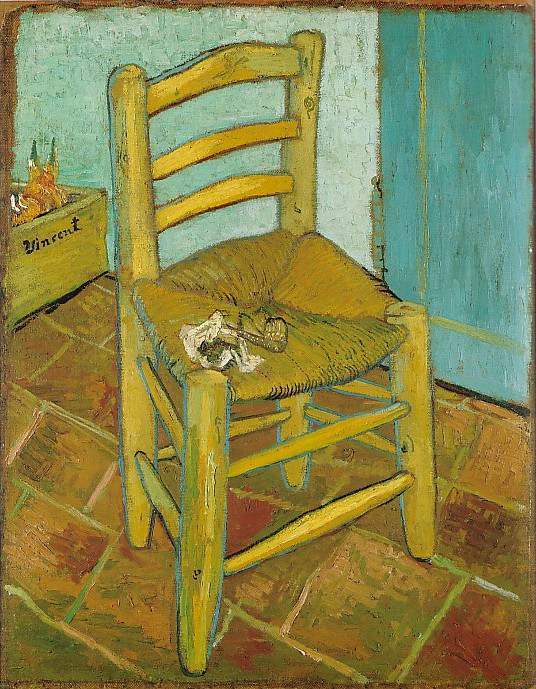 The Yellow Chair remains to be one of my favourite paintings of all time. Vincent had just cut his ear off before completing this incredible painting! In 2006 I had a desire to paint my own huge version of Vincent's yellow chair, without cutting off my ear. 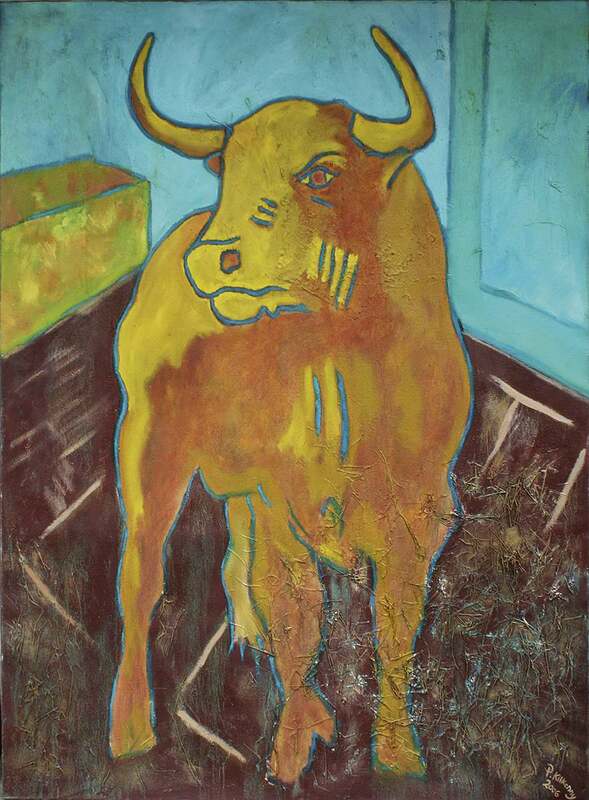 I had drawn in the lines on a large canvas but as I came to paint it I had the urge to replace the chair with a bull. As often was the case the unintended begins to have great symbolic significance. We just don't notice it at the time. I dedicated this painting to Vincent with "ode to Vincent and the spirit of art that lifts us above all the tragedy of man" written on the back of the canvas. To do art and to go beyond the personal. To lose oneself in the act so to speak. It is then that things happen by themselves and interconnect. The same spirit that painted the yellow chair painted the yellow bull, only this time with no loss of ear.